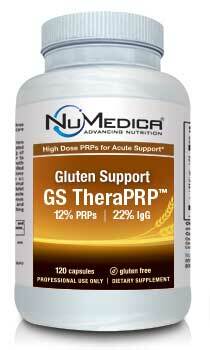 NuMedica Gluten Support TheraPRP Capsules are specially formulated supplements for that helps aid in immunity support. Created by Dr. Andrew Keech, he made sure to include the best PRP's to fully benefit the consumer. Provided in powder and capsule forms, it has the perfect balance of benefits. 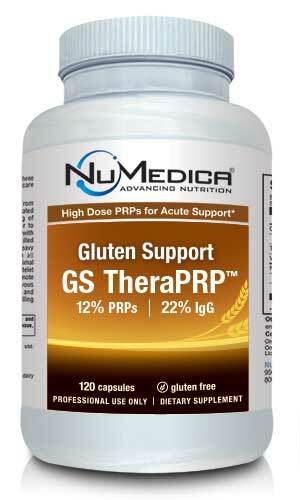 NuMedica Gluten Support TheraPRP is also available in powder form. 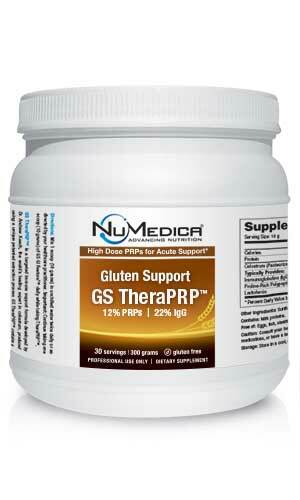 NuMedica TheraPRP was formulated by Dr. Andrew Keech in an effort to provide immunity support for those that may suffer from gluten issues. It also benefits the general population as it provides Proline-Rich Polypeptides, Lactoferrin, and Immunoglobulins. The ingredients in this product offer proteins, minerals, vitamins, growth factors, and immunity support. The average person is deficient in various areas and this helps to keep the balance necessary to remain healthy and active. With all of the protein provided, it helps aid in healing and even building muscle mass. Derived from Colostrum, Proline-Rich Polypetides perform their job in regulation of cell protein synthesis. Much like a call system, PRP's are called to help fight infections. This is perfect for those that suffer from those issues often. Lactoferrin is naturally occuring in human milk, tears, mucous, bile, and specific types of white blood cells. It helps to inhibit digestive issues and infection. It also helps to reduce inflammation like the other ingredients mentioned. Immunoglobulins are antibodies that destroy antigens that they bind themselves to. They are one of the major fighters in your entire system. There is a plethora of benefits when taking TheraPRP. One of the best parts would be the immunity support. Many of us tend to be dragged down due to life's stresses. There is a lot of energy that can come from upping our immunities. It helps aid in making us feel better inside and out. TheraPRP aids in the growth of muscle and bone. And, even helps heal tissue injuries through the usage of the proteins in the mix. The proteins used are bovine, which are 40 times more efficent than our own. Inflammation goes down as it influences the Inflammatory Cytokine Panel. The Inflammatory Cytokine Panel is affected by damaged done to cells, as well as pathogens. This treatment can help balance it out so that inflammation goes down. With these benefits, the users will see changes in how they feel. They will be able to become more active and not have to be bogged down by exhaustion and pain. Increases chances of beating various types of infections before they get worse. Promotes healing within the tissue. Helps in muscle growth and bone growth. 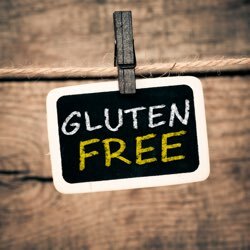 Gluten Support TheraPRP Capsules - 120c 4 Capsules 30 Take four capsules twice daily or as directed by your healthcare practitioner. Important: Continue taking ImmunoG PRP™ daily while taking TheraPRP™. For maximum benefit, use the powder forms of ImmunoG PRP™ and TheraPRP™ when possible. Gluten Support TheraPRP Powder - 300g 1 Scoop (10g) 30 Mix 1 scoop (10 grams) in unchilled water twice daily or as directed by your healthcare practitioner. Important: Continue taking one scoop (10 grams) of ImmunoG PRP™ daily while taking TheraPRP™. Caution: Consult your healthcare practitioner before use if you are pregnant, planning a pregnancy, taking medications, or have a health condition.